While you might not want to walk down the street pointing your laptop’s webcam at unfamiliar street signs, Microsoft has made the option available to travelers voyaging in distant lands. 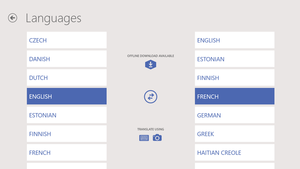 Microsoft Thursday added the Bing Translator app to the Windows Store, allowing users to quickly translate text into more than 40 languages. 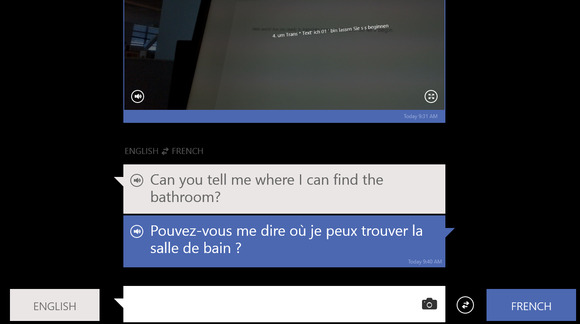 The Bing Translator app appears to be very similar to the Windows Phone Bing Translator app, with a key difference: typed text and camera images can be translated, but voice can not. Otherwise, the Windows app can be used much like the Windows Phone app, including its nifty trick of superimposing the translated text over the source language. Unfortunately, to take advantage of it, you’ll either need to own a laptop with a rear-mounted camera or an external camera that can be swiveled. Otherwise, you’ll essentially need to take a “selfie,” holding the laptop out at arm’s length with both you and the text you’ll want to capture in the background. However, Bing does allow you to capture the text by tapping the screen, so you can minimize the time in which locals gawk. It also works fairly well with a convertible tablet or a laptop like the Lenovo Twist, which can be swiveled into tablet mode. Basically, you’ll need to sort of awkwardly peer over the top of your laptop or tablet, making sure that it’s pointed at the screen, tap, then see what you’ve captured. Fortunately, text can also be cut and pasted from websites, smoothing that portion of the process. 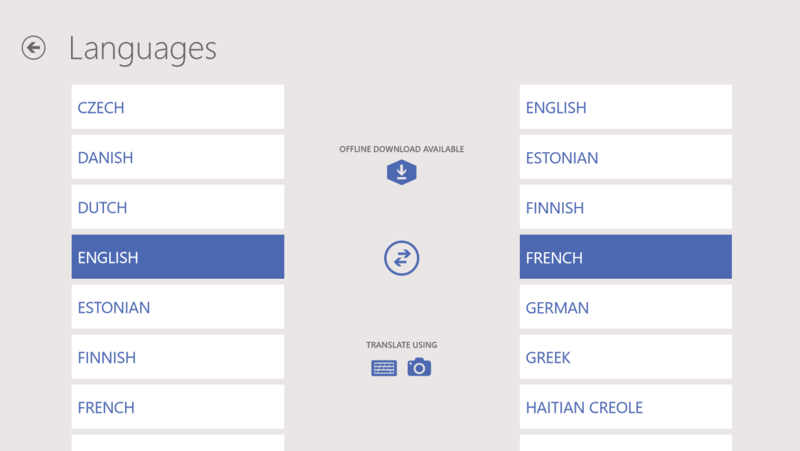 Like the Windows Phone app, translation packs can also be downloaded and saved to the device, for when Wi-Fi or 3G access isn’t available. The Bing Translator app is based on years of Microsoft Research’s investments in advancing machine learning, Microsoft said. Basically, the new Bing app makes sense when used on the desktop, to translate back and forth between languages that appear on the Web. 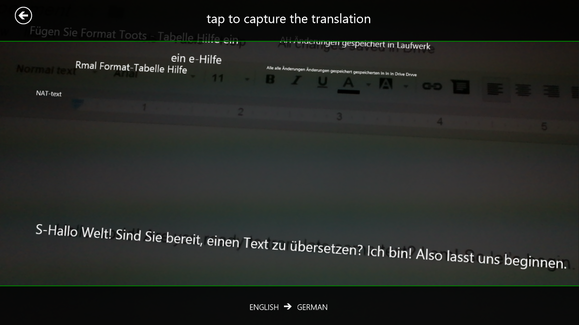 As for translating text while on the go, it’s far easier to whip out your WIndows Phone and use the app instead.